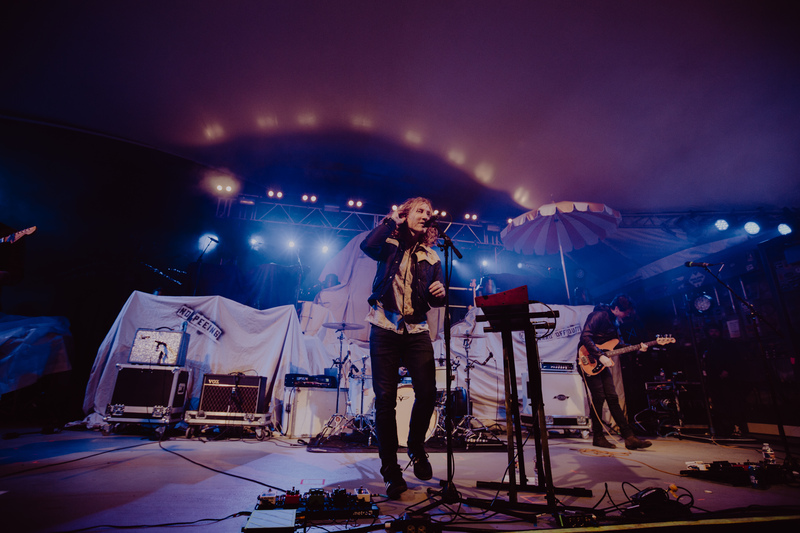 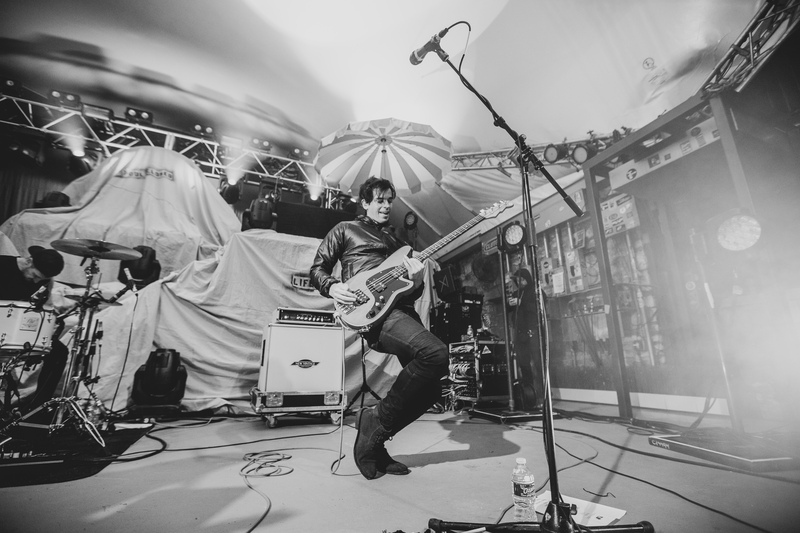 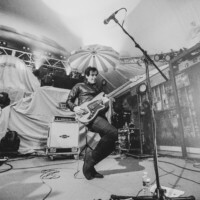 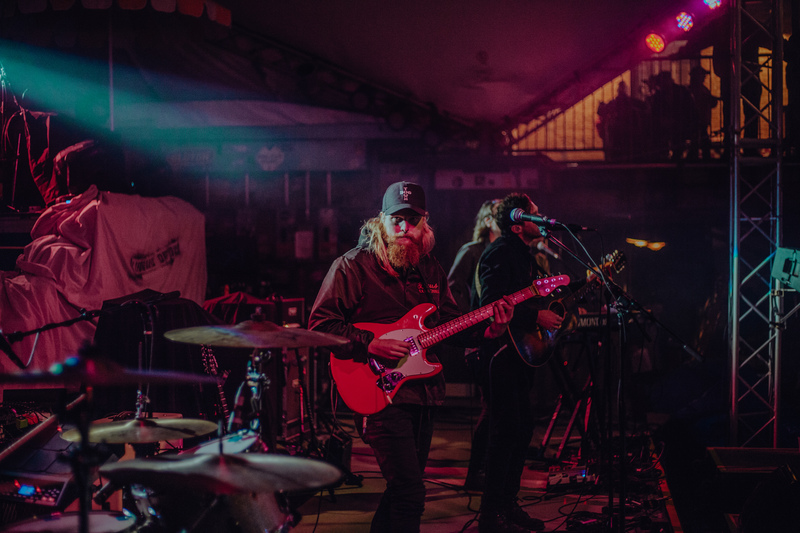 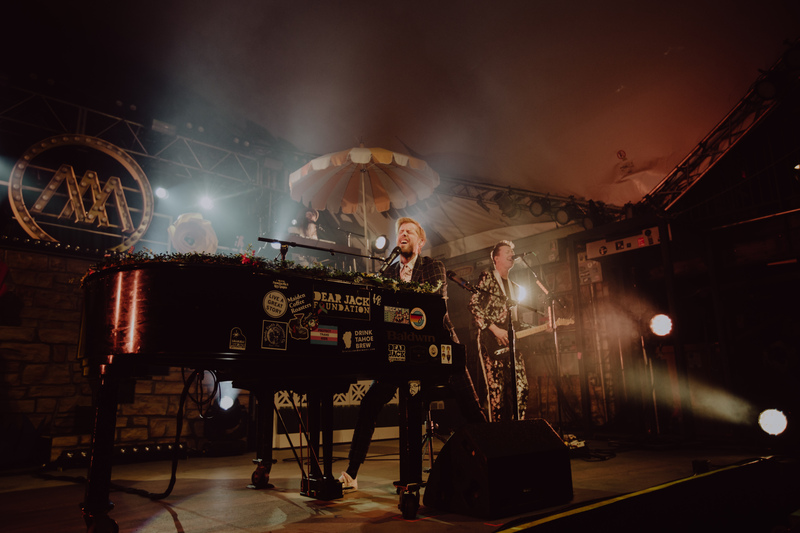 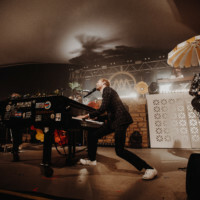 The Upside Down Flowers tour took place at Stubb’s Waller Creek Amphitheatre in Austin, TX at January 26. 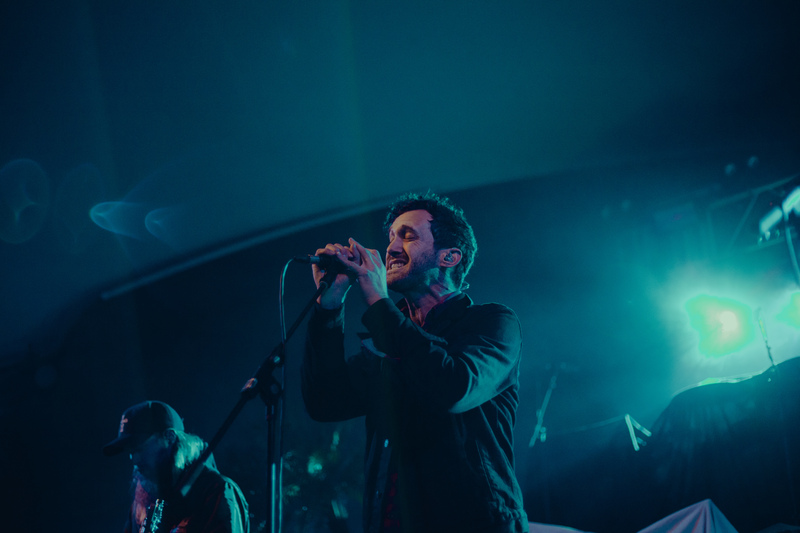 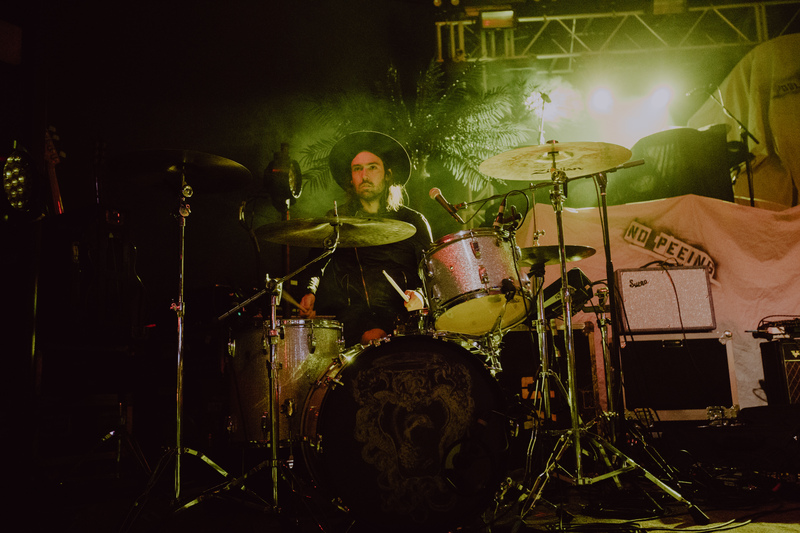 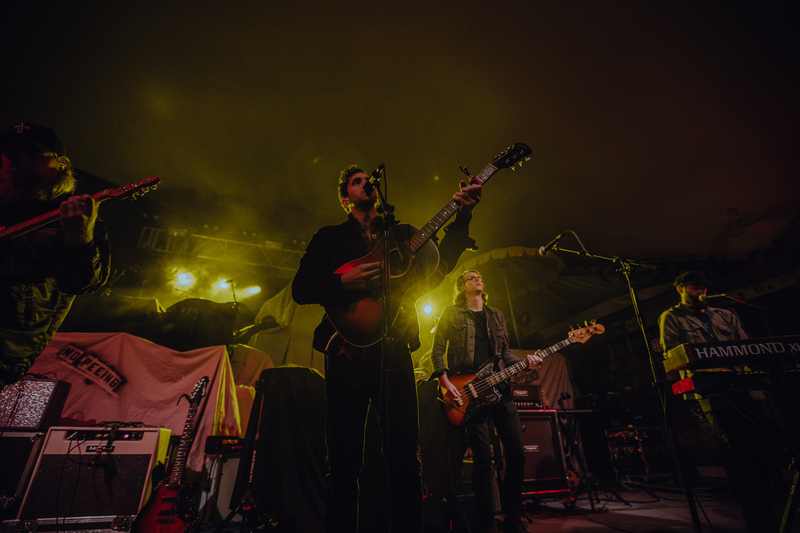 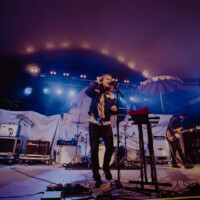 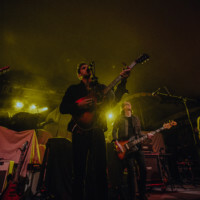 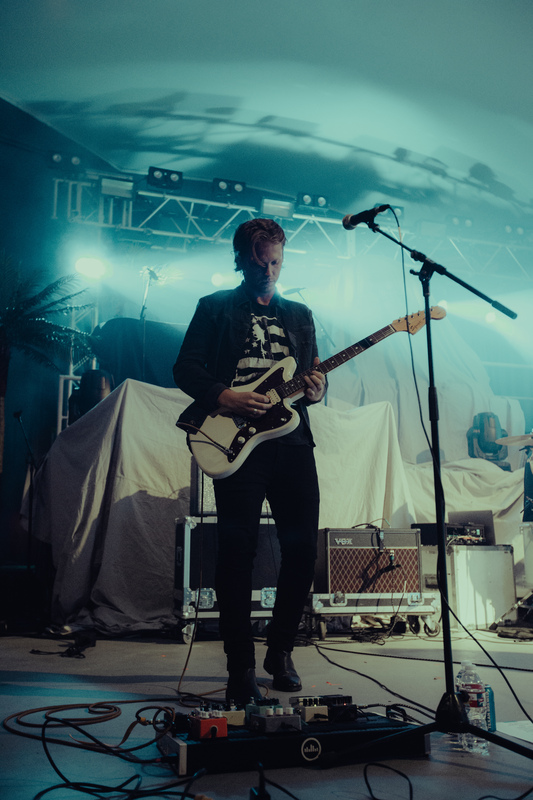 The show opened with Grizfolk, a five piece alternative rock band from Los Angeles. 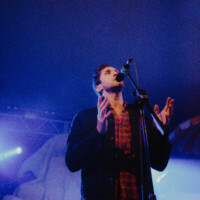 They opened the show with one of their most popular songs, The Struggle. 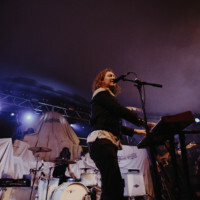 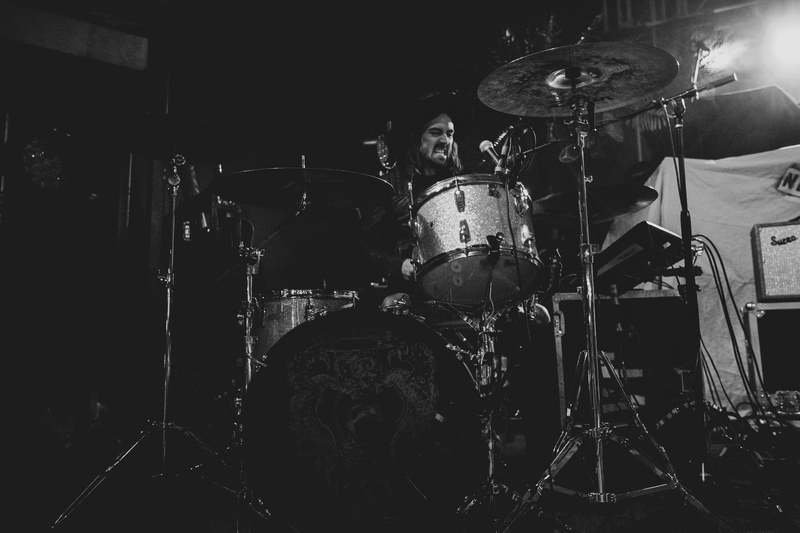 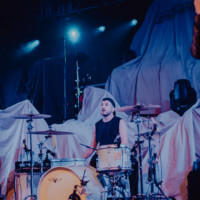 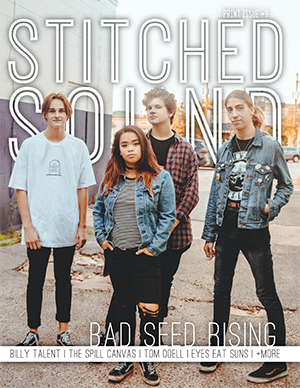 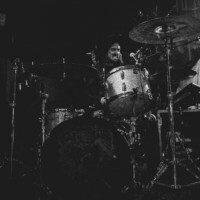 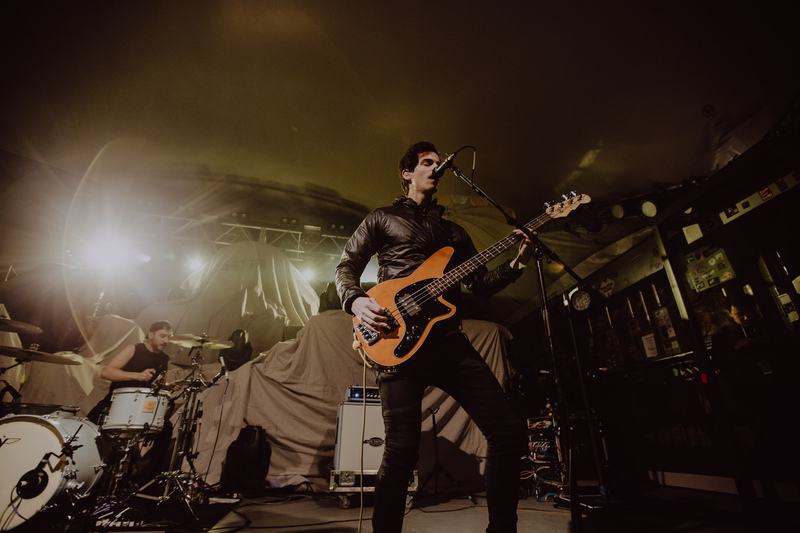 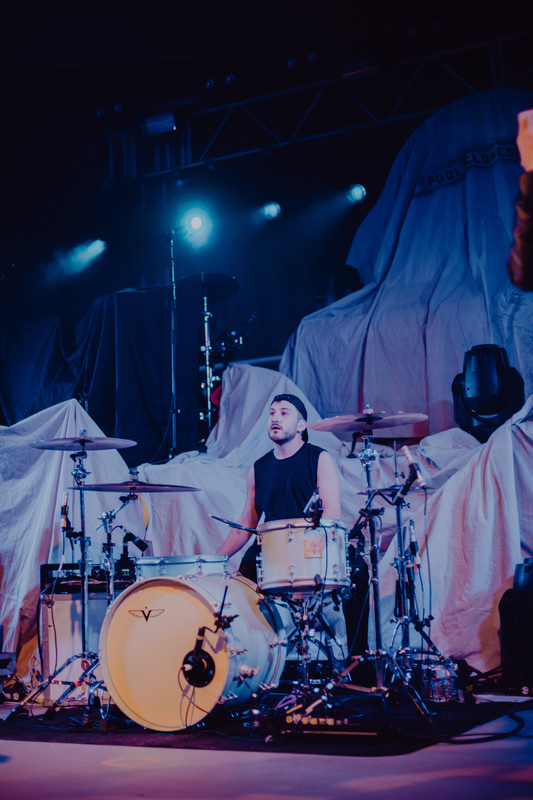 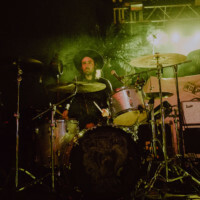 They played hits from their full-length album, as well as their latest single, Heavy Crown. 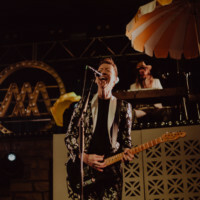 They also sang two unreleased songs, Black Magic and Hurricane. 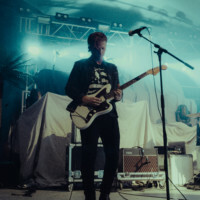 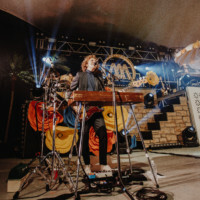 Flor took the stage next, playing 7 songs from their debut album, their newest single, get behind this, and an unreleased song called slow motion. 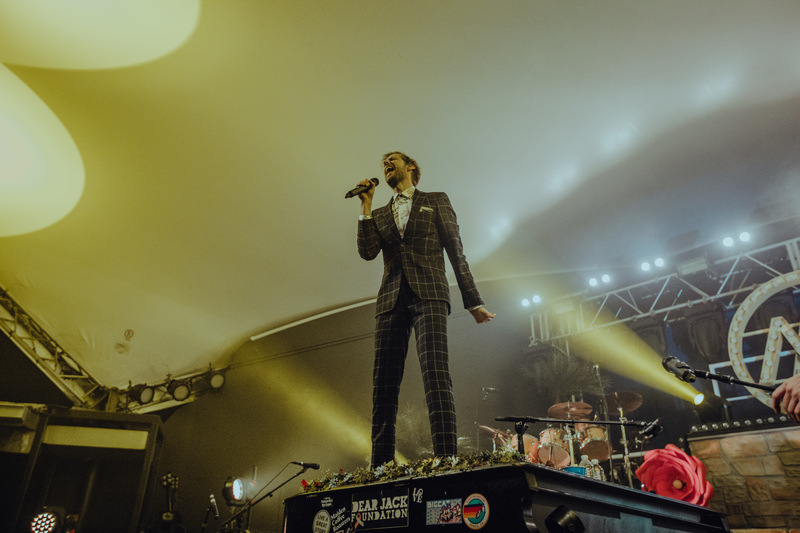 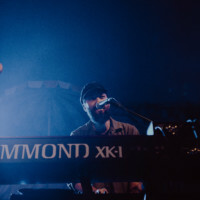 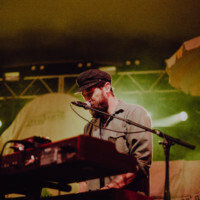 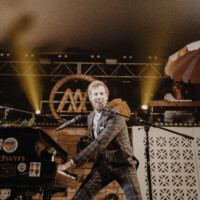 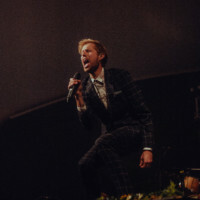 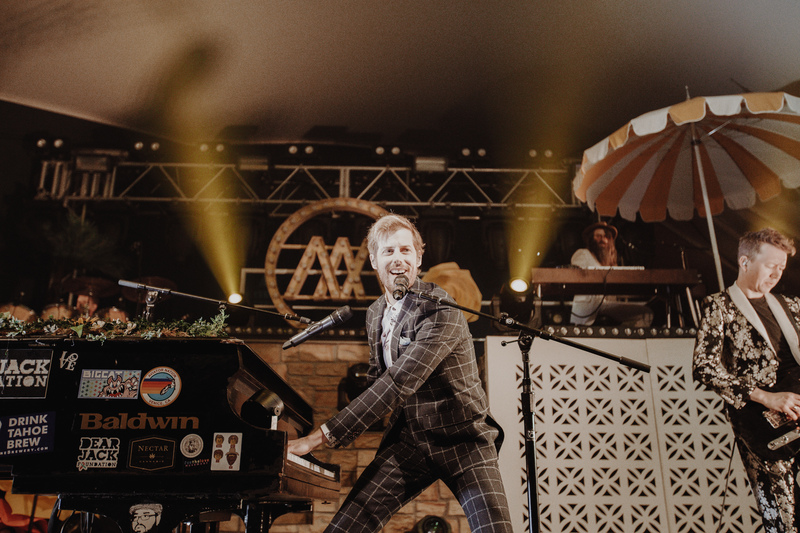 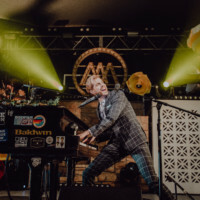 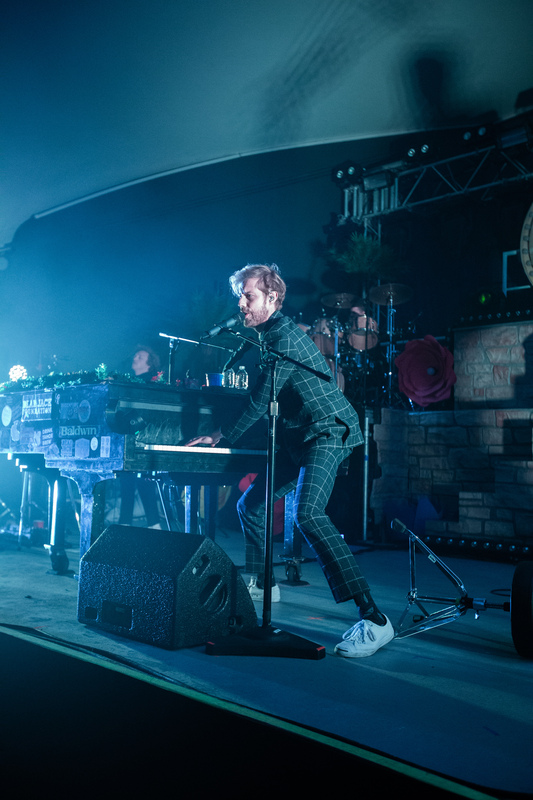 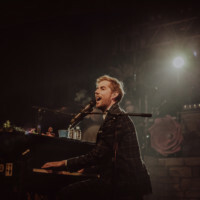 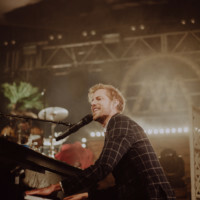 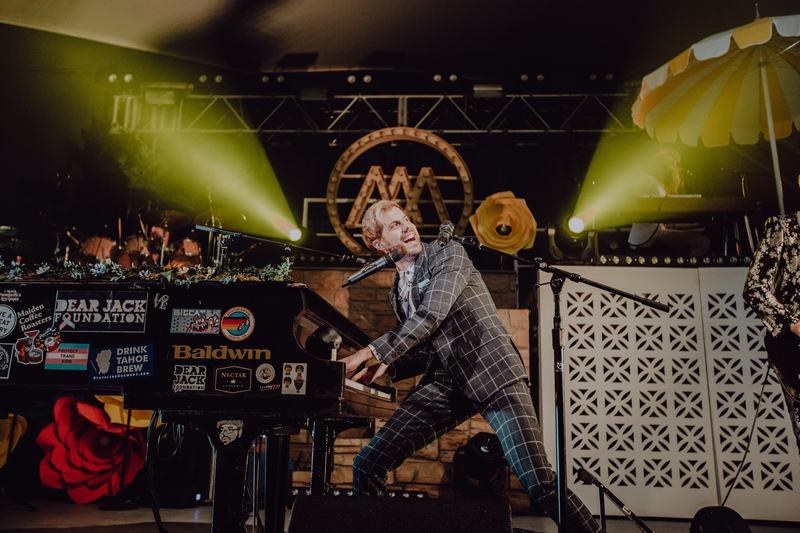 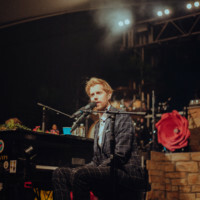 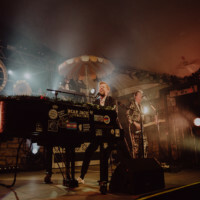 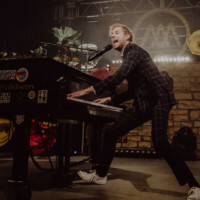 Andrew McMahon took the stage next, playing songs from Something Corporate, Jack’s Mannequin, and Andrew McMahon in the Wilderness’s discographies. 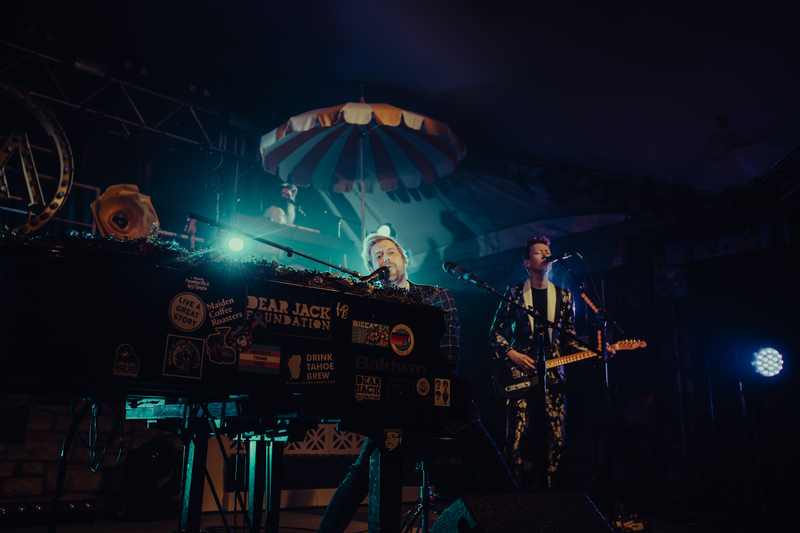 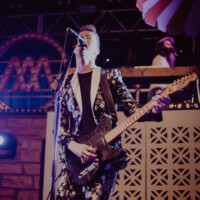 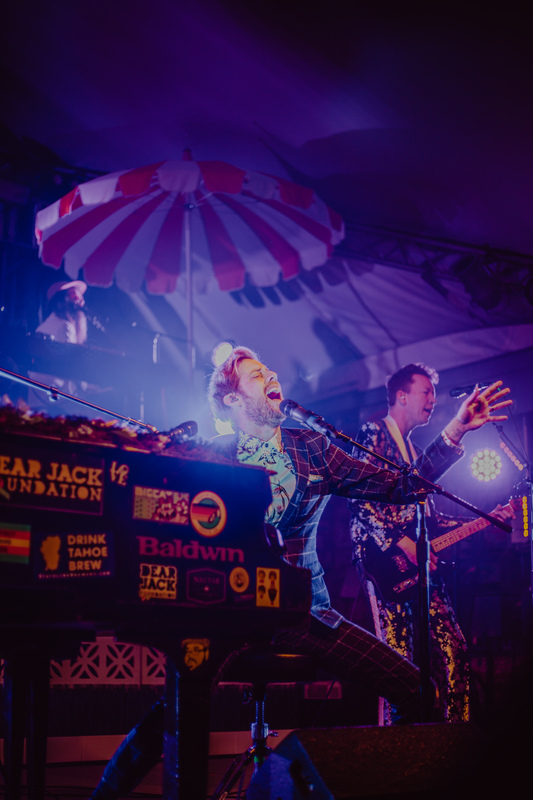 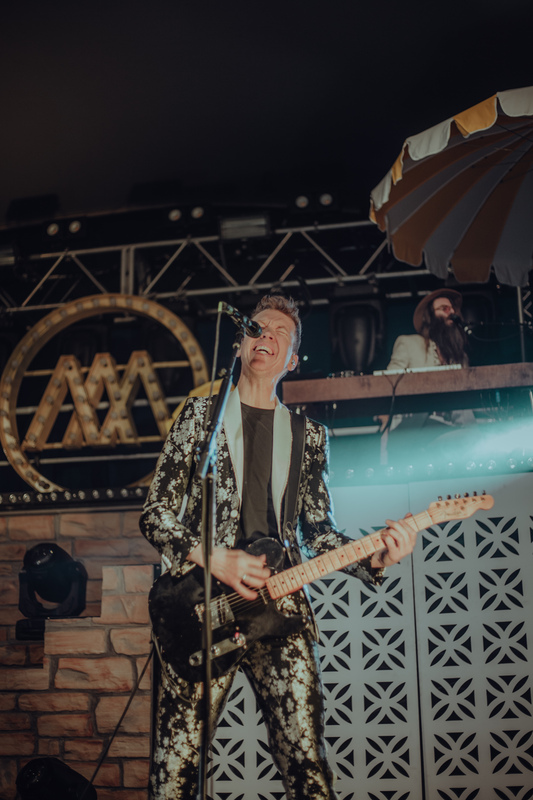 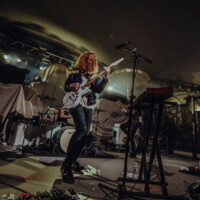 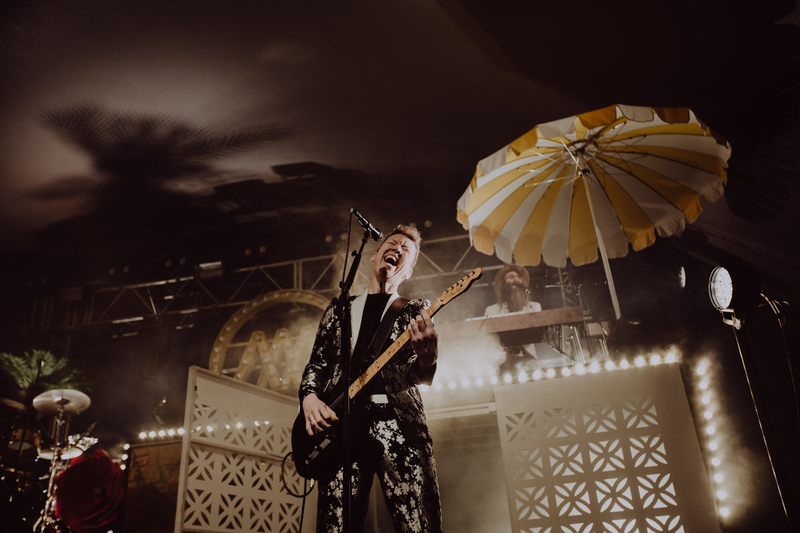 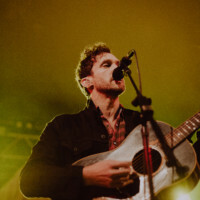 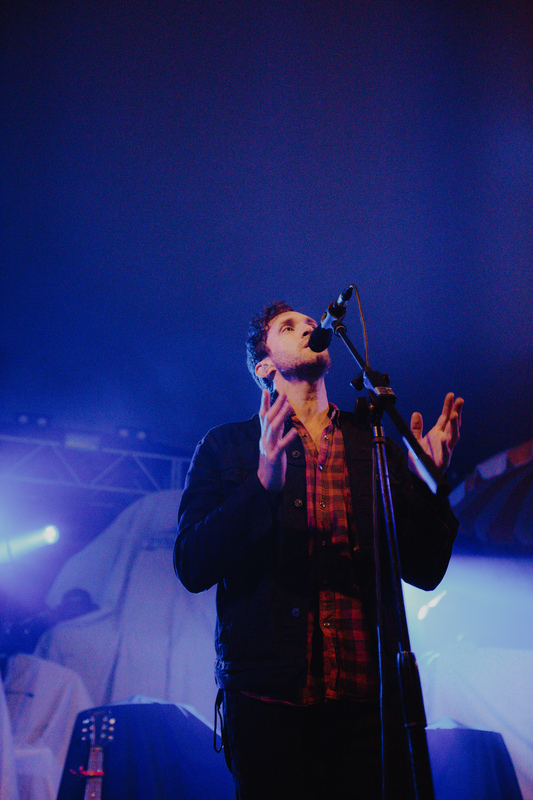 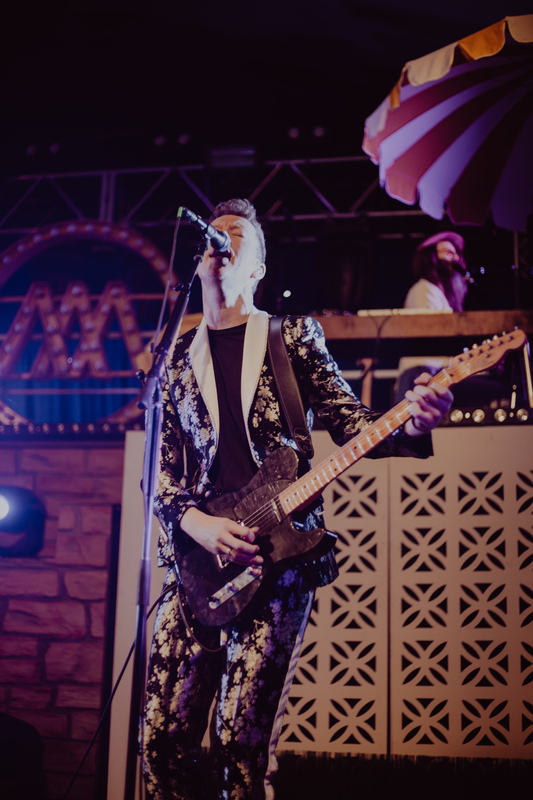 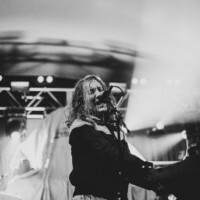 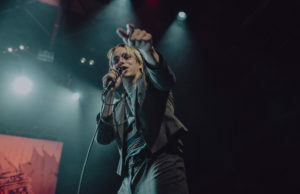 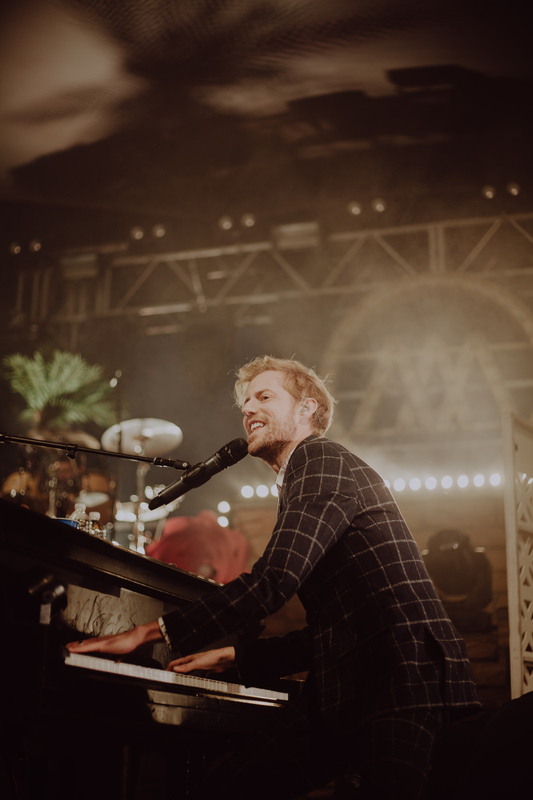 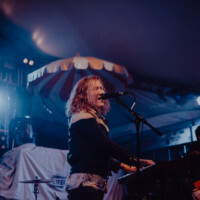 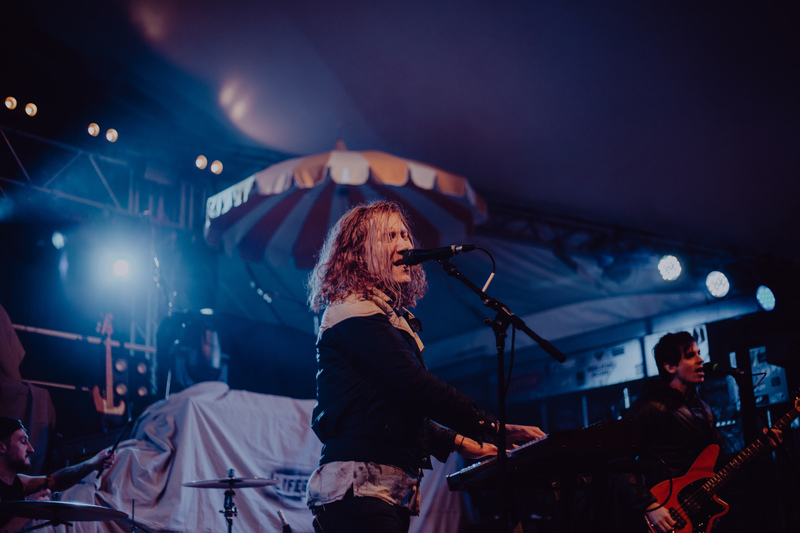 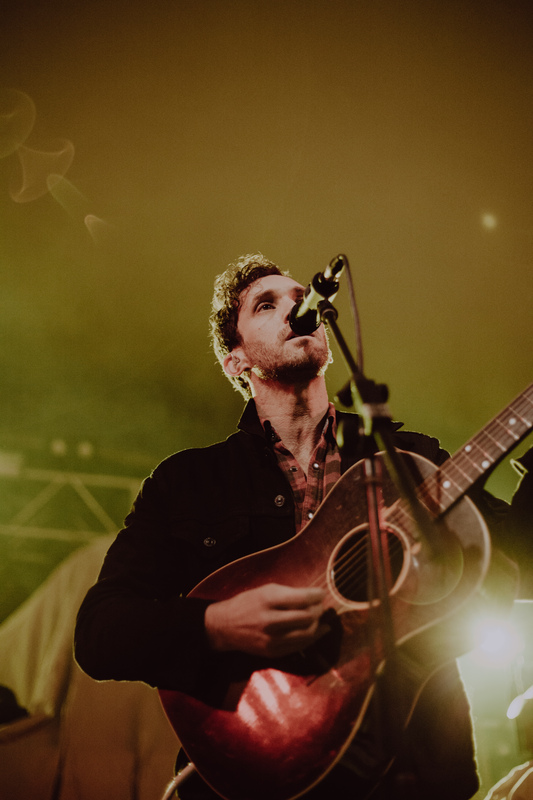 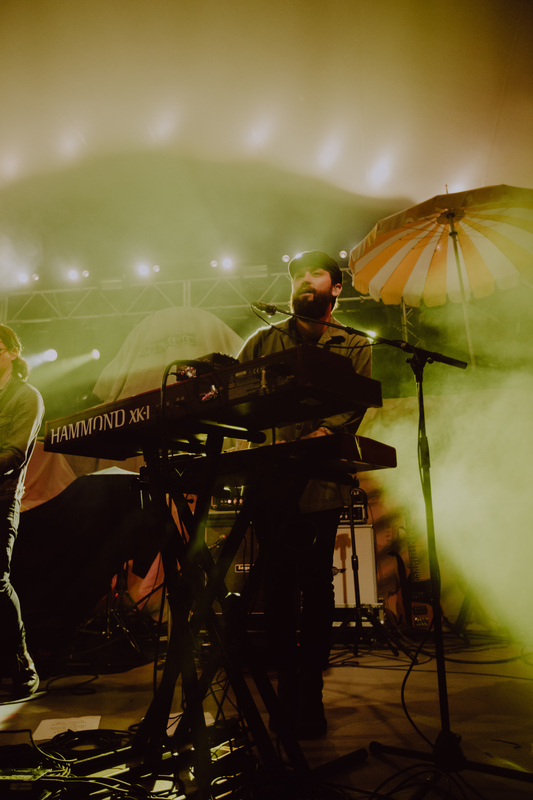 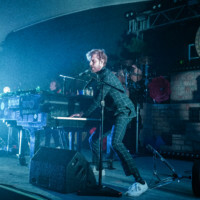 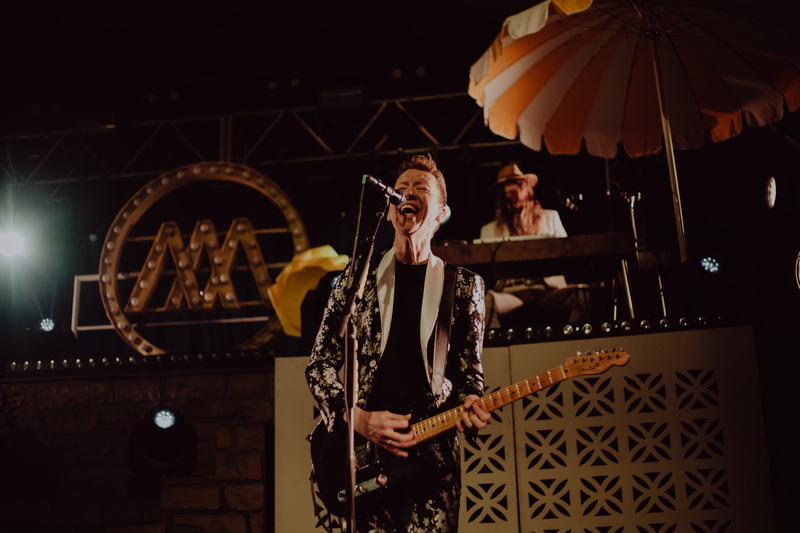 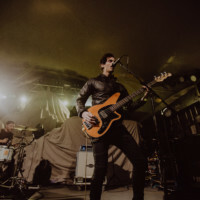 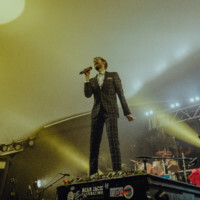 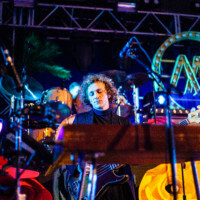 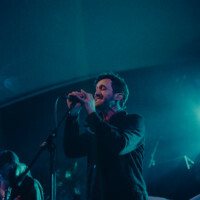 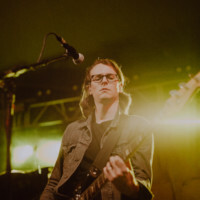 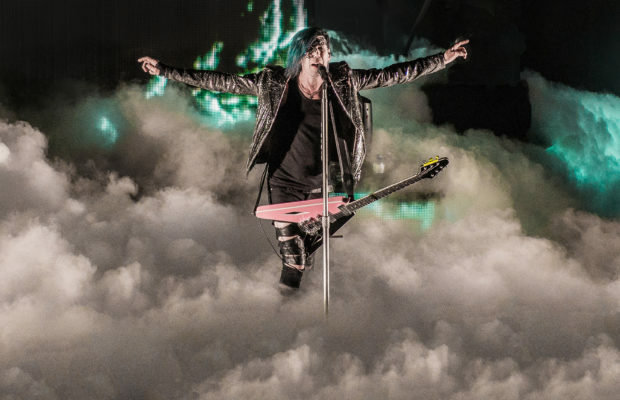 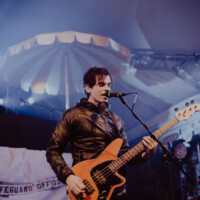 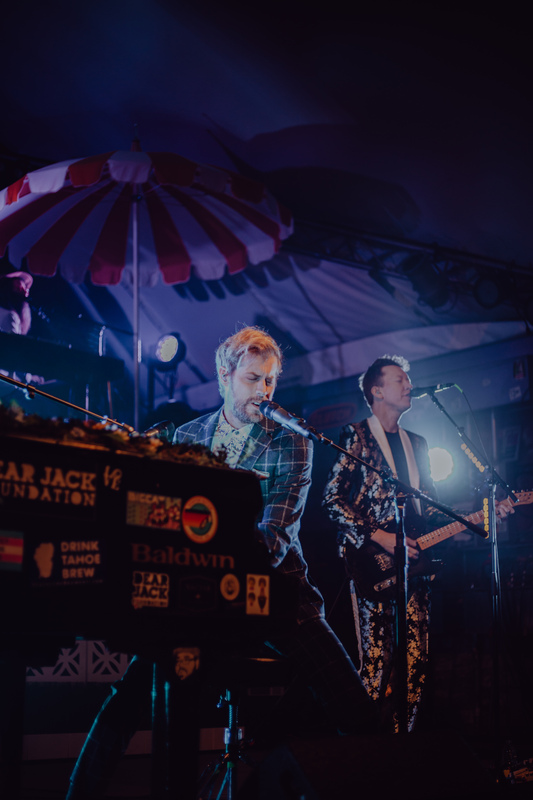 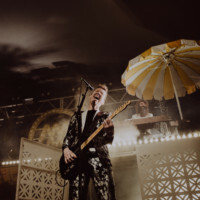 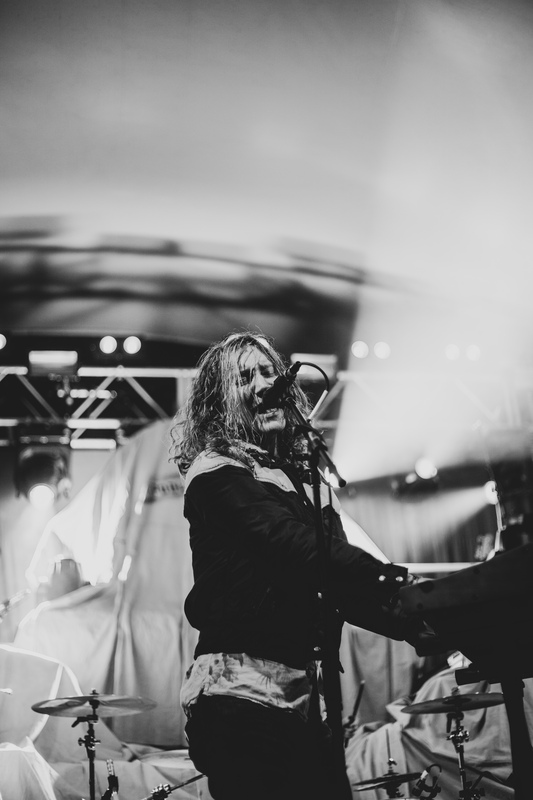 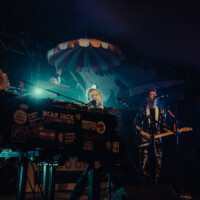 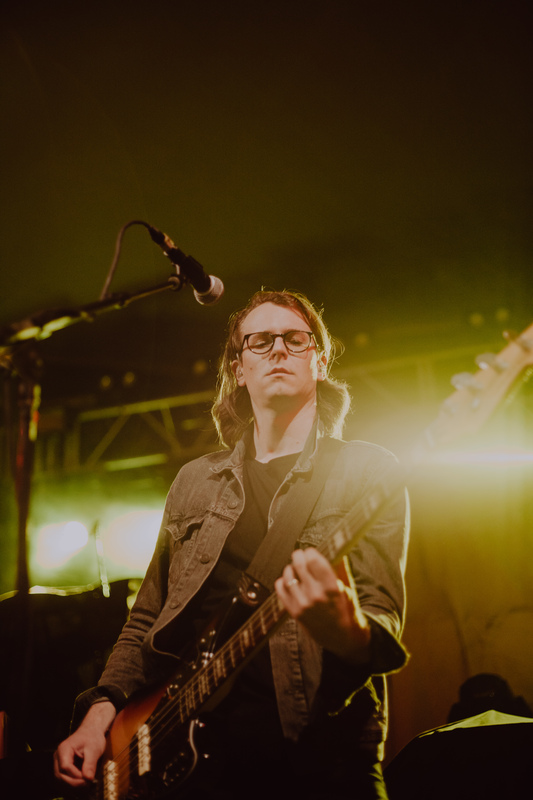 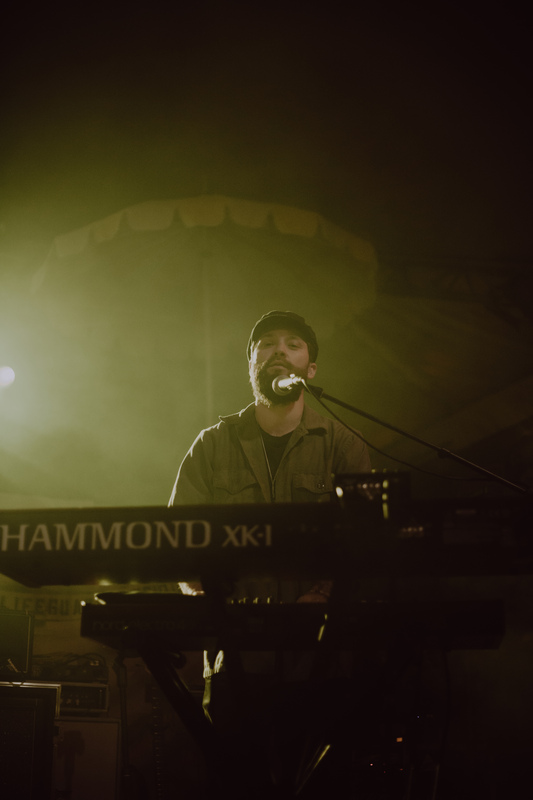 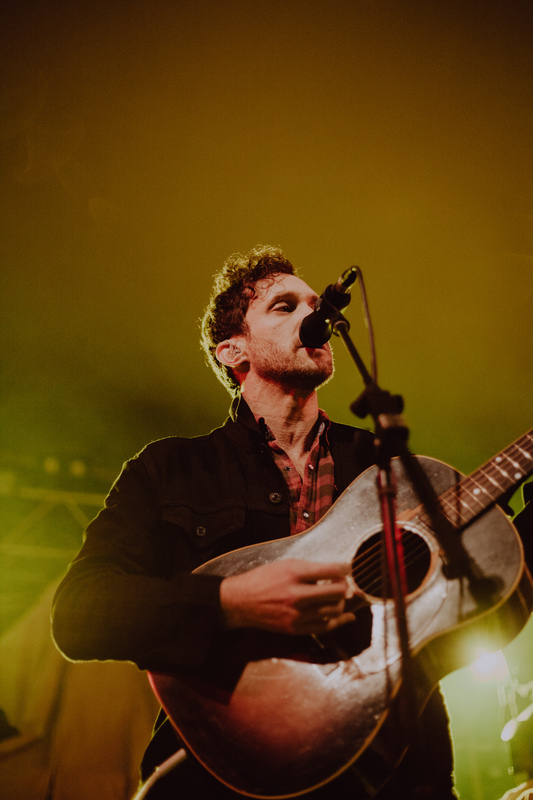 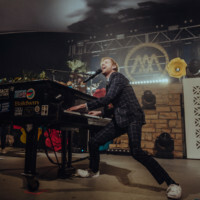 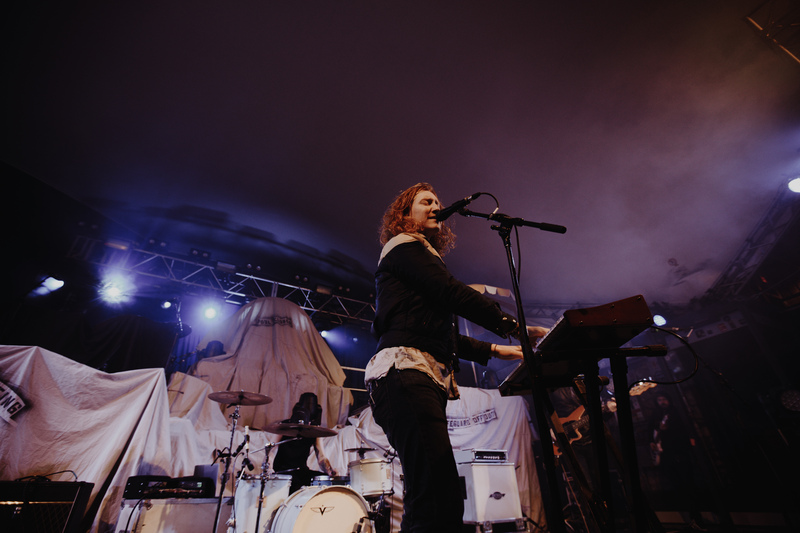 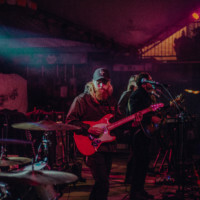 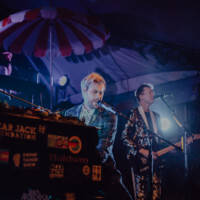 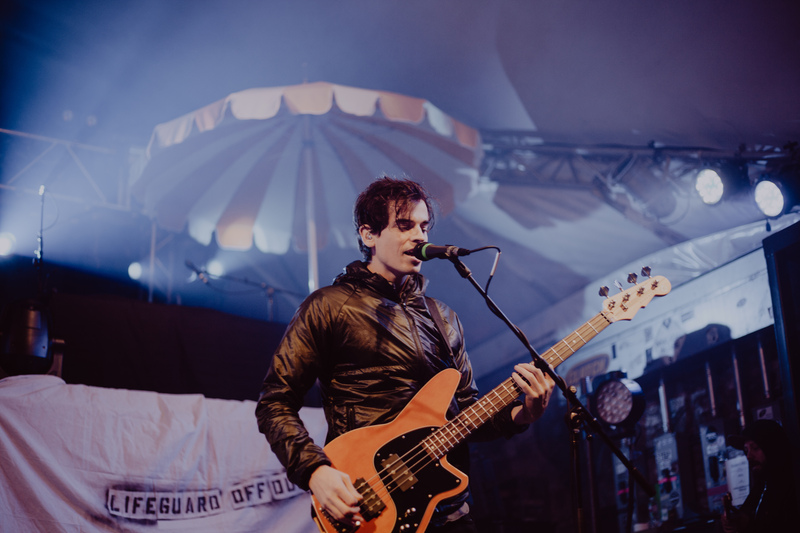 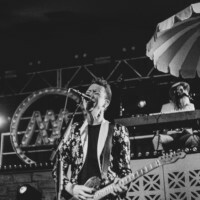 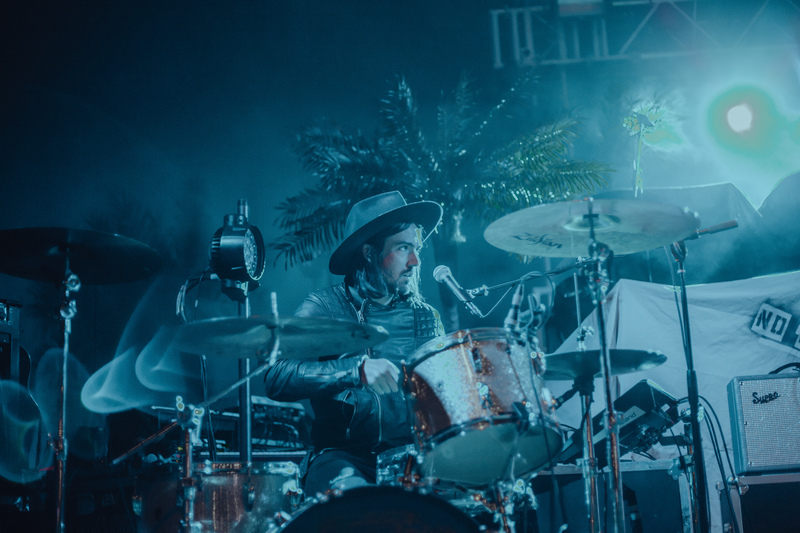 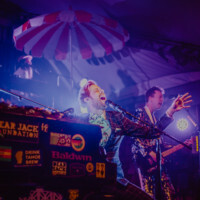 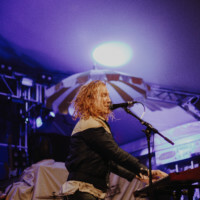 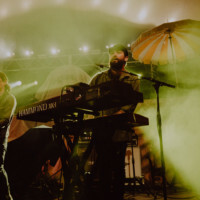 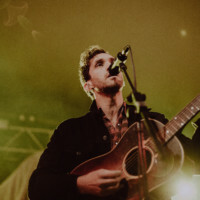 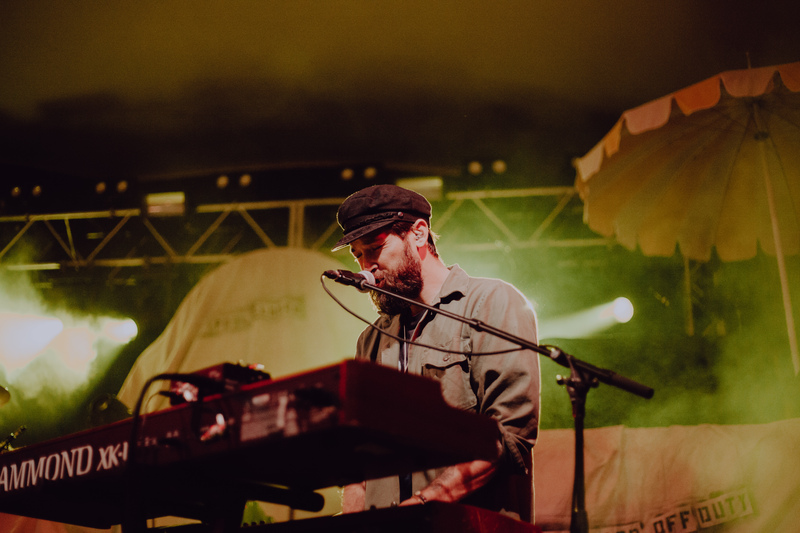 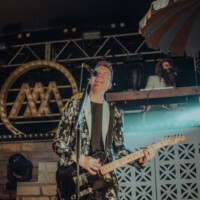 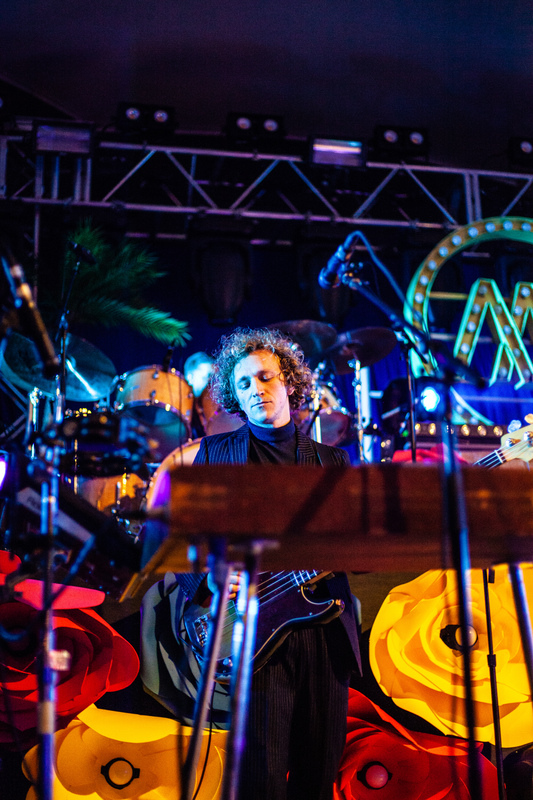 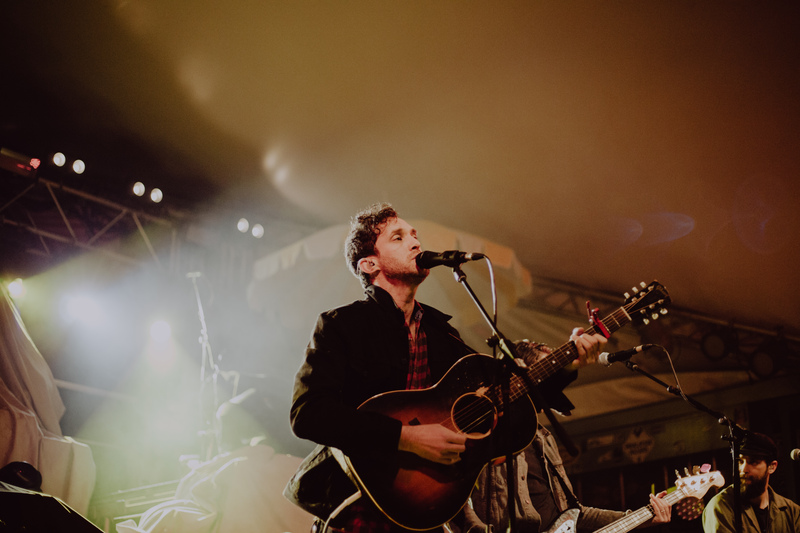 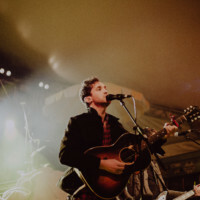 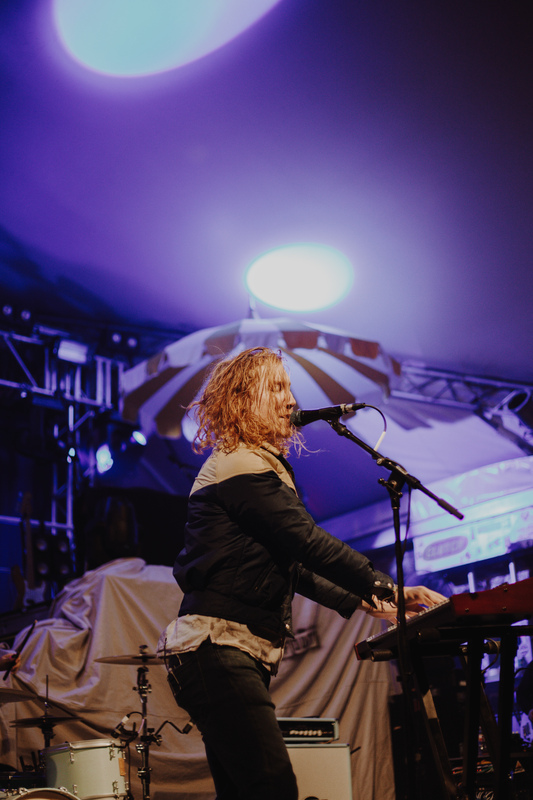 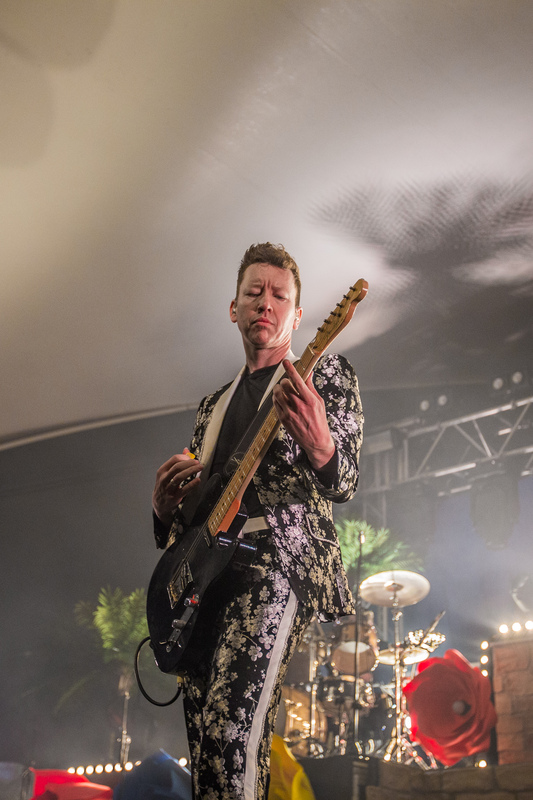 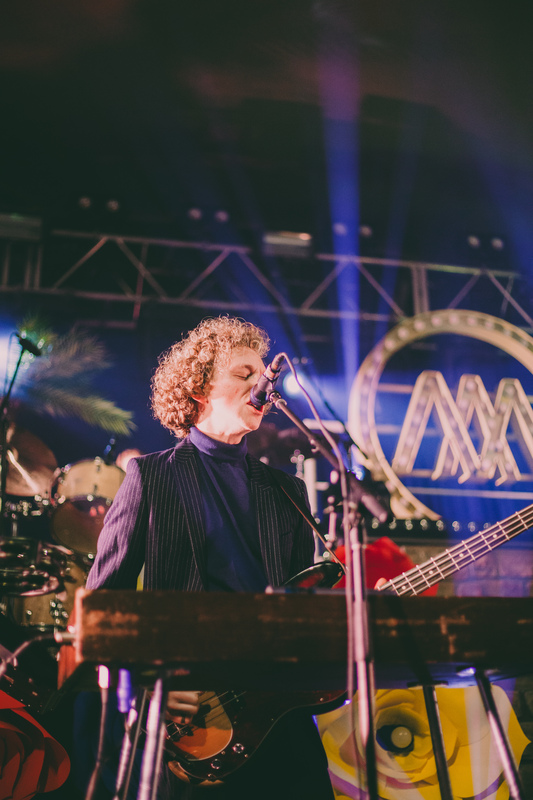 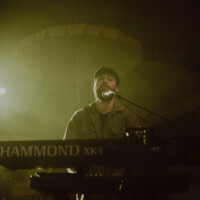 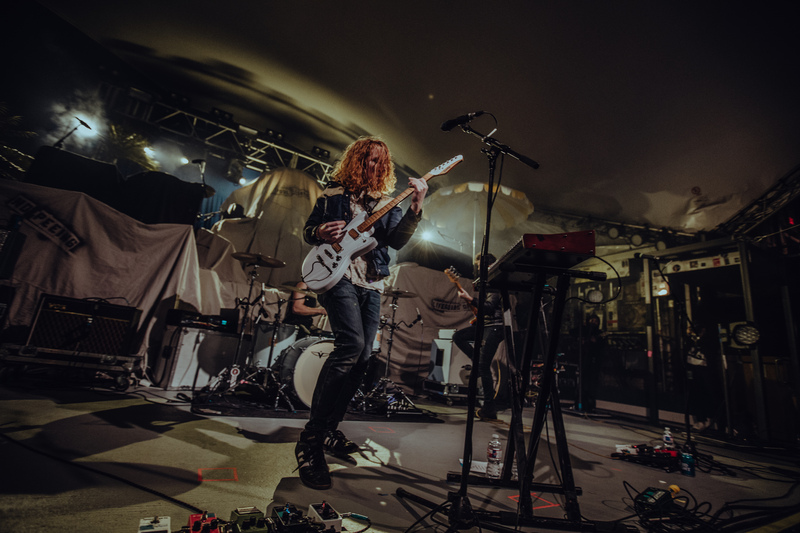 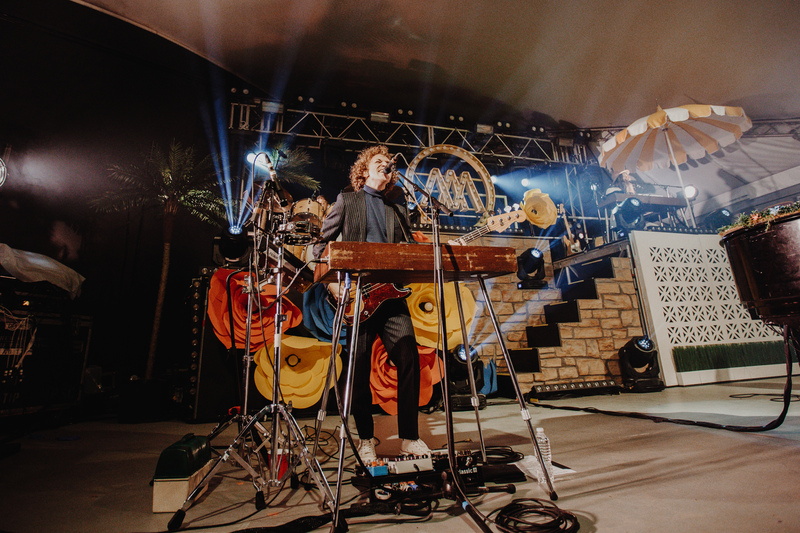 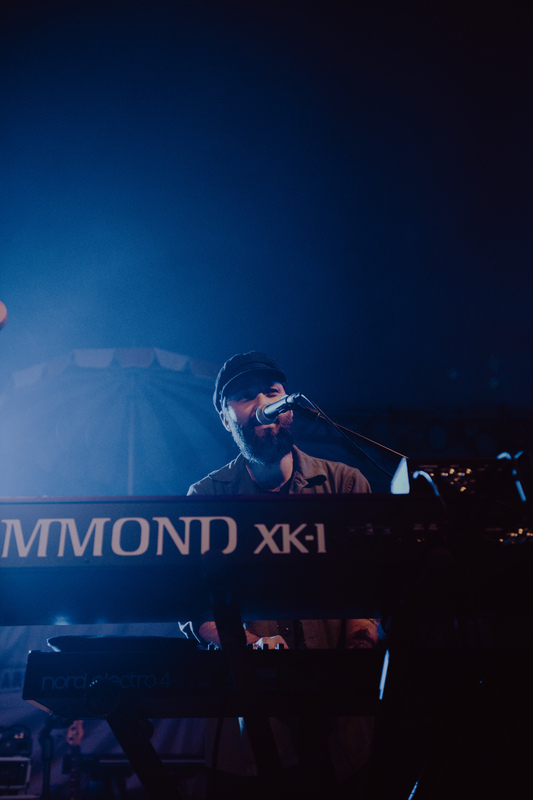 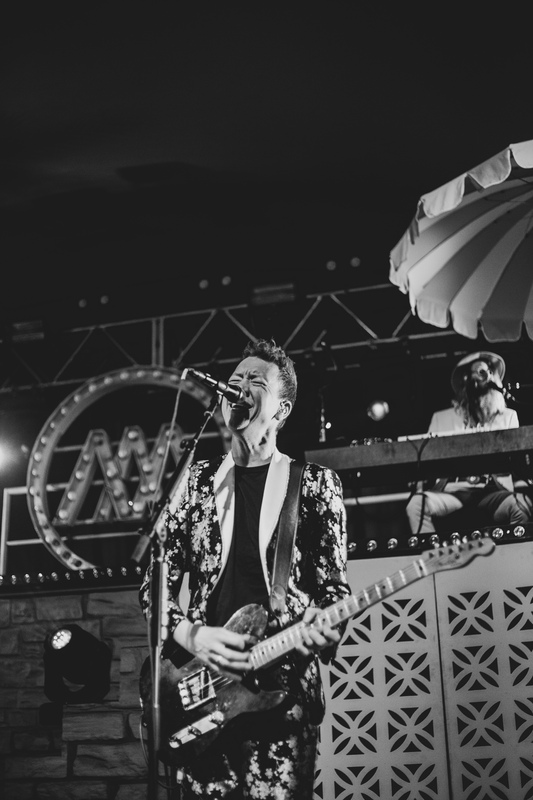 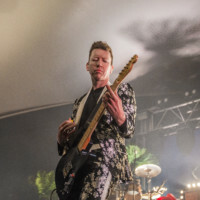 Andrew created an atmosphere reminiscent of a Southern California pool party, bringing the audience into the land of his new album, Upside Down Flowers. 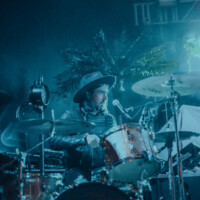 Part of what made this show so magical was that it was raining during Andrew’s set, and the audience had a blast dancing in the rain to their favorite songs. 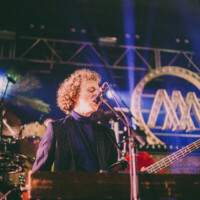 Andrew does an incredible job of making such a large environment feel like home, and perfectly balances his show with nostalgic hits from his 21 year long career with new music that fans haven’t heard live yet. 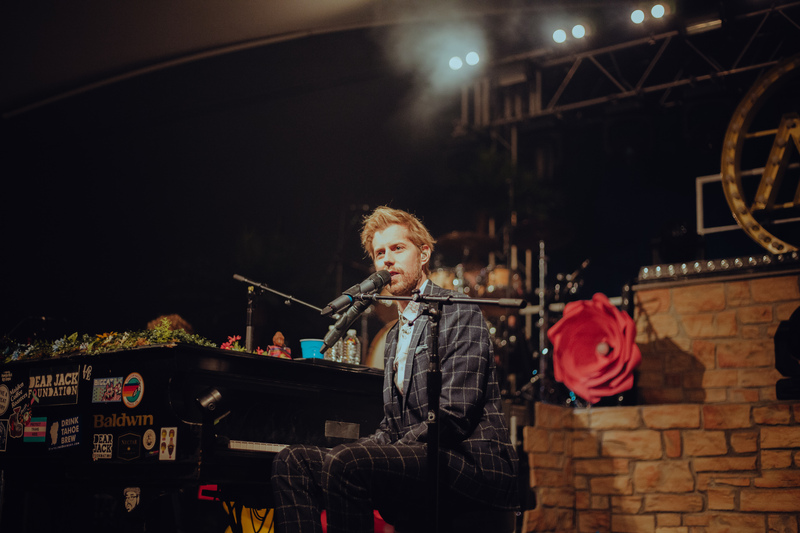 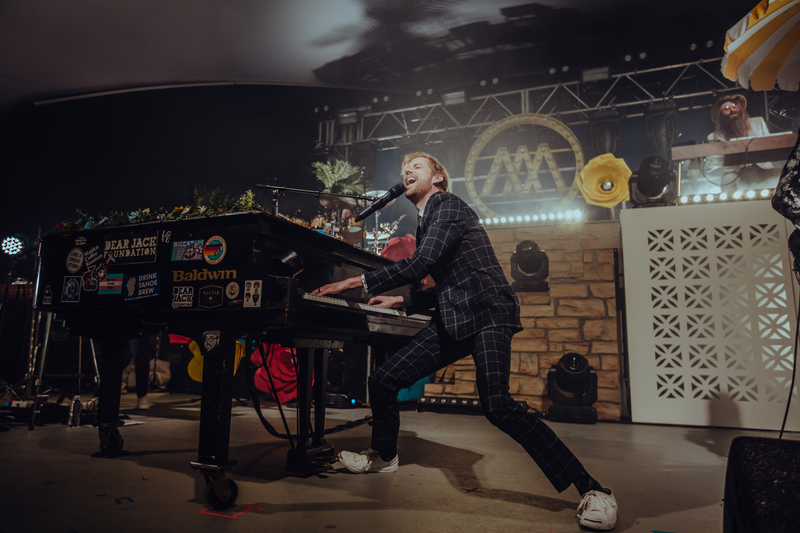 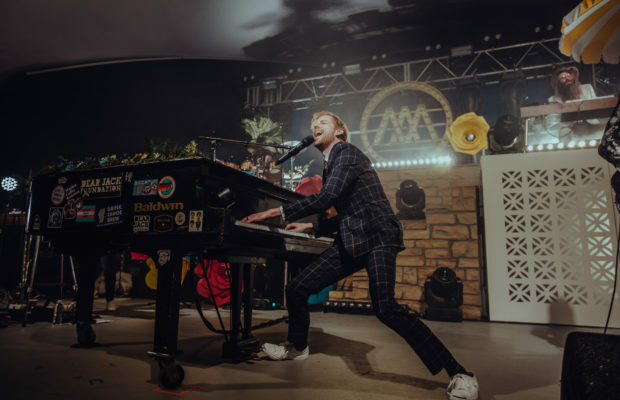 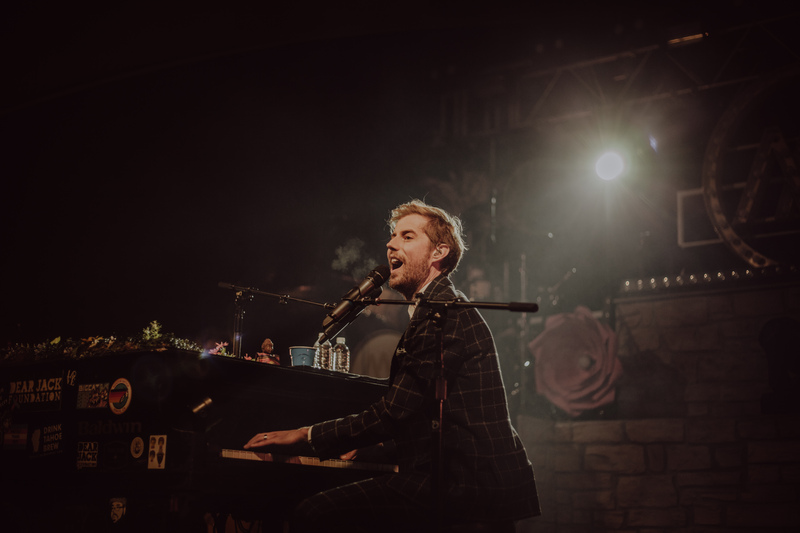 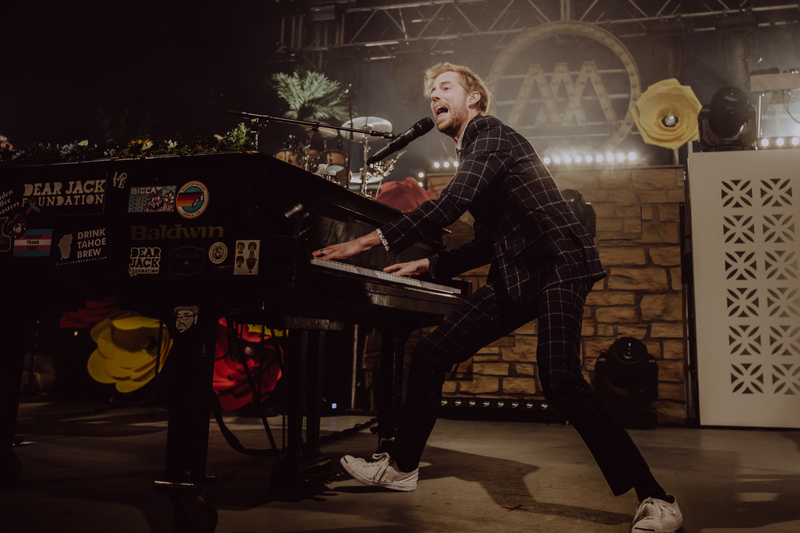 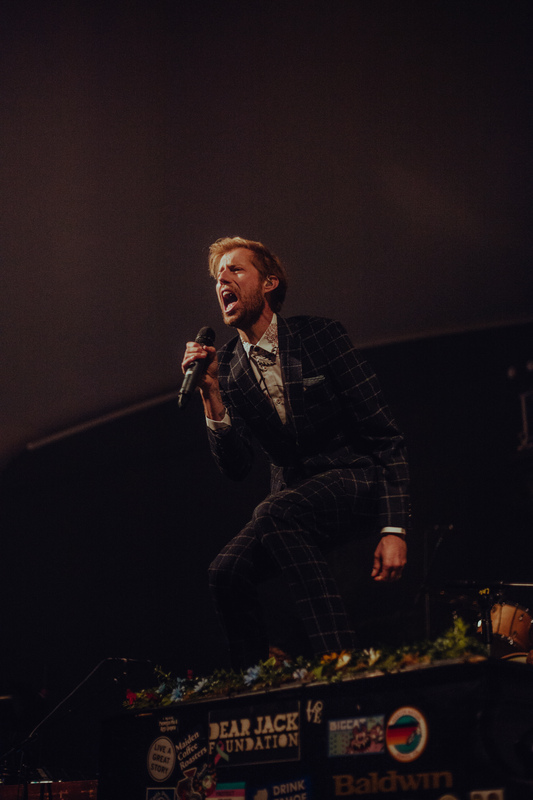 Adding interactive elements to his shows is something that Andrew McMahon has always done incredibly well, and this tour is no different. 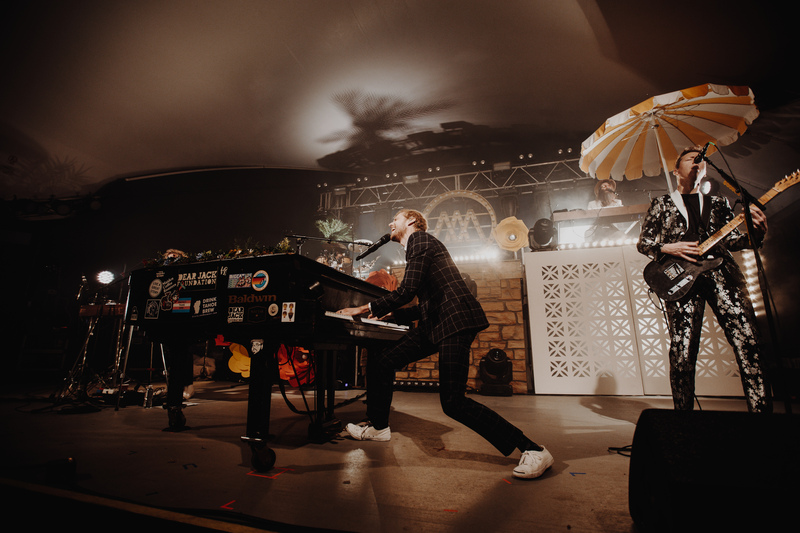 Welcome to the land of Upside Down Flowers.